Corwin Zekley has an extensive musical background, with parents that exposed him to many instruments in several genres and styles ranging from celtic to jazz. Auburn House Concerts presents Corwin Zekley & Emma Newton in concert at 3 p.m. Sunday. Zekley is a singer, songwriter, and virtuosic violinist who plays and composes in genres ranging from Celtic to gypsy jazz to rock ‘n’ roll. 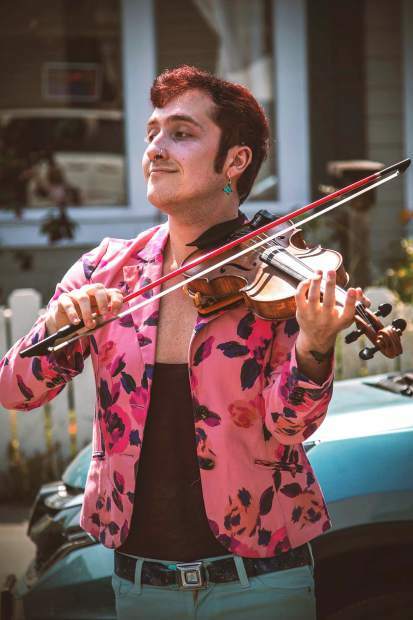 Zekley attends the Berklee College of Music in Boston, teaches violin, and performs across the west coast with a variety of bands. Newton is an eclectic harpist, pianist, and singer-songwriter versed in classical as well as jazz whose voice is as moving as her jazz-pop originals. The two will be performing together for an afternoon of electrifying original love songs and standards featuring melodious violin, imaginative harp, and soaring vocal harmonies. 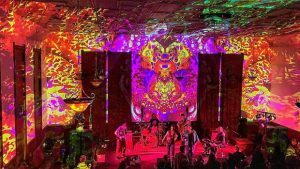 Zekley comes from a very musical background, with parents that play a myriad of instruments in numerous genres as well as many influences from professional musicians and styles ranging from Celtic to jazz. He has been playing violin for the majority of his life and has been singing and writing songs for several years. He attended Idyllwild Arts, and studied composition and songwriting, as well as improvisation with Marshall Hawkins (who played with Miles Davis). He has recently been working as an accompanist with Buck Thrifty and The Crux; as a duo with David Brown performing gypsy jazz; and with the Gypsy Swing Club. He teaches two workshops at Lark in the Morning Music Camp: Jazz, Swing and Gypsy Jazz Violin; and Improvisation & Spontaneous Composition for All Instruments & Styles. Newton has attended the Berklee College of Music and the New England Conservatory. Though she has studied classical music since a young age, she now writes and plays in a myriad of styles, including jazz, pop, rock and classical. She performs at venues and festivals all over New England, including Sailfest New London, Providence’s AS220, the Franklin Cultural Festival, and with the Harry Potter Soundtrack Orchestra at the Berklee Performance Center. When not performing, she works as a sound engineer and piano teacher at Encore Recording Studios and Music Academy in Franklin, Mass. Reservations are required for the show. Suggested donation is $20/person. All proceeds go to the artists. Doors open at 2:30 p.m., music starts at 3 p.m. Call 530-885-4292 or email info@AuburnHouseConcerts for reservations and directions.